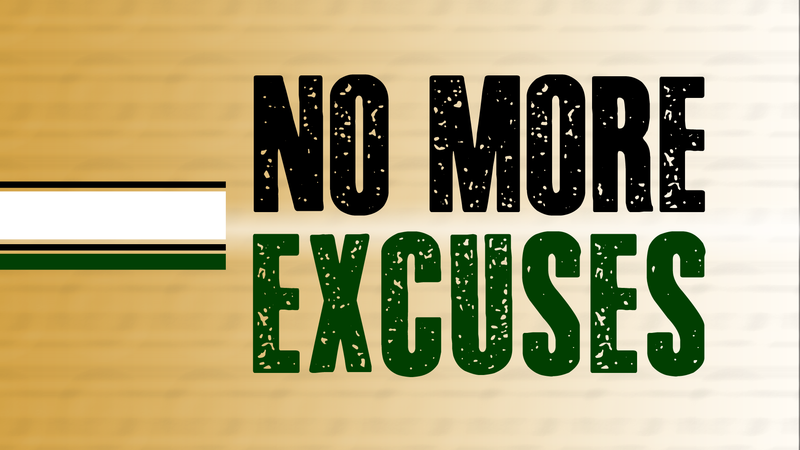 This week we started at new series at church called “No More Excuses.” In this series we’re going to cover some of the excuses we often hear about why we can’t do or be who God made us. We use excuses all the time, probably hundreds of them a week, maybe even per day. Something happens and we have an excuse. We don’t do something, and we have an excuse for why we didn’t do it. We were supposed to be somewhere, and we have an excuse about why we couldn’t be there. We have a lot of excuses. We also have a lot of excuses about why we can’t be who God wants us to be. One of the biggest excuses we use is that we are Christians. We use the excuse of being a Christian to keep us from really being a true follower of Jesus. We think that by our good works and lifestyle we are earning something, when in reality it’s all because of Jesus. Monday Morning Mission - Believe - 4 steps to becoming a disciple.